Andy Mahood, Taskfeed CEO, gets into the Customer Onboarding gold with Adam Joseph on his Customer Success Conversations podcast. Customer Onboarding is the stage of the customer journey where you can make the biggest impact on success. 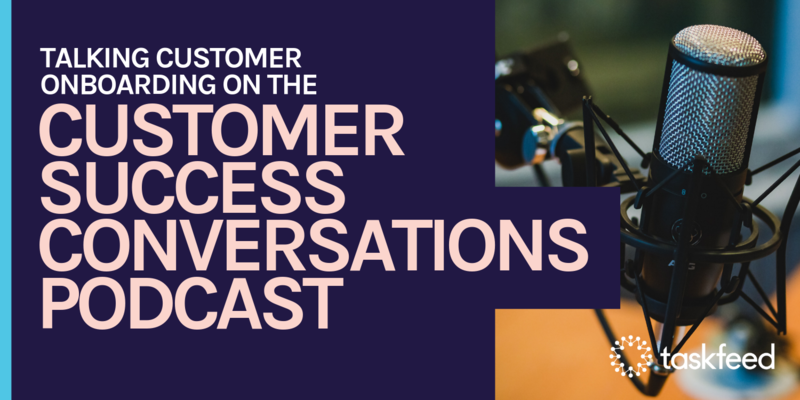 That’s what Andy Mahood, founder of Taskfeed and Adam Joseph are discussing on this week’s Customer Success Conversations podcast. 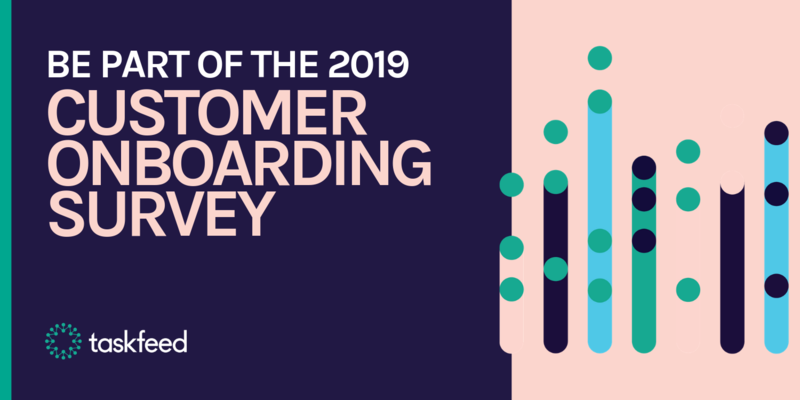 The answer to this question, was one of the findings covered in the Taskfeed Customer Onboarding Benchmark Report last year, the industry’s most comprehensive research to date, currently being updated for 2019. Of course, the 100s of conversations that Taskfeed have with businesses going through the onboarding process all contribute to the Taskfeed team’s unique level of insight into this area. So going back to the original question, what is this the most critical part of the journey? 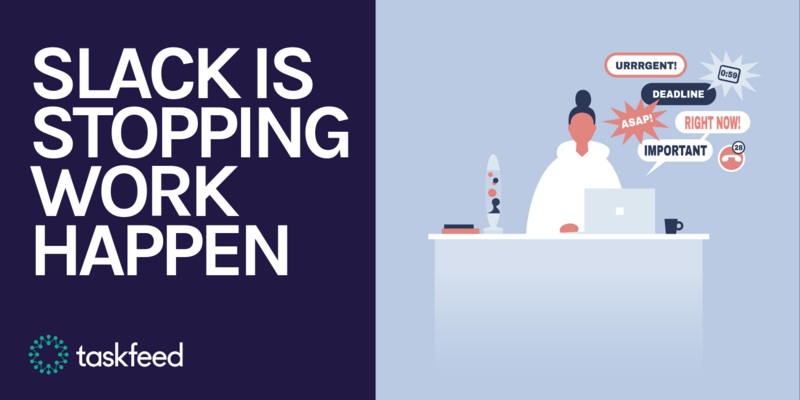 Well, the point is right at the start: the demos are done, the sales process is finished and now it’s time for the real thing, your customer is getting to grips with your product and making it work for them, for real. As a vendor, you need to be sure to get it right. How do you win your customer’s trust when, in Adam’s words, the ‘well of goodwill’ is empty. At the same time, it’s also the point that your customer is most open to change - this is your window to put in place the processes and technology that will help them get the real joy from your product. In which case, perhaps the more important question is: what can you do to make sure it goes to plan? Why we need to stop mixing up user onboarding and customer onboarding. What is change management 101 and how do customer onboarding tools help to manage that? Want to be part of the bigger picture in 2019? The survey takes 5 minutes and you’ll be the first to receive the final report once the results are in. As an industry, we don’t have all the answers yet. Take part in our 2019 survey and let’s get closer to figuring them out together. Help us to build the true picture of Customer Onboarding today. Take part and be the first to receive the final report. Is Slack the solution or the problem? We look at the rise of the chat app, the fall of email and what it all means for Customer Onboarding. The Taskfeed Customer Onboarding Survey is back for the second year and we want you to have your say. Stay up to date with Customer Onboarding. Nearly there! We just sent you an email to confirm your subscription. Oops! Something went wrong. Check your details and try again. Failing that contact support@taskfeedapp.com.